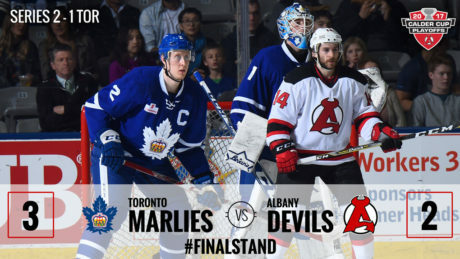 The Devils fell to the Marlies, 2-1, in the third overtime period Friday at Ricoh Coliseum. 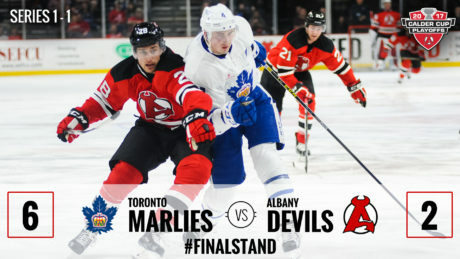 The Devils and Marlies face off at 7 pm Friday for Game 4. The Devils fell to the Marlies 3-2 in overtime Wednesday at Ricoh Coliseum. 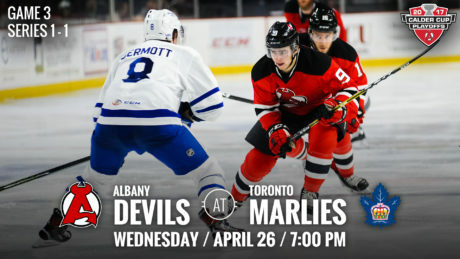 The Devils travel to Toronto to take on the Marlies for Game 3 Wednesday for a 7 pm puck drop. 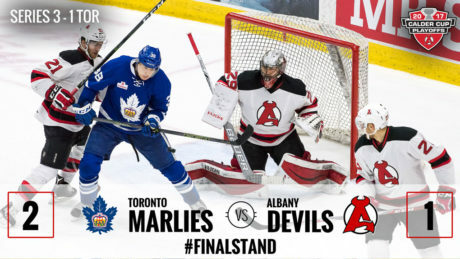 The Devils fell to the the Marlies 6-2 in Game 2 of the Calder Cup Playoffs Saturday. 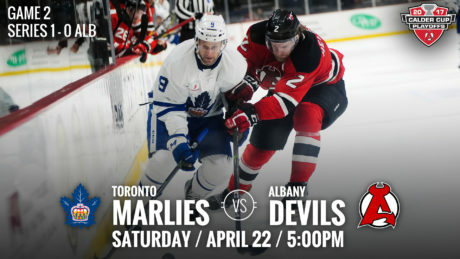 The Devils finish their home stand against the Marlies in Game 2 of Round 1 of the Calder Cup Playoffs Saturday. 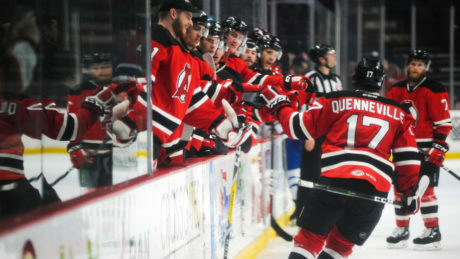 Quenneville might be new to the AHL playoffs but is no stranger to post-season hockey. 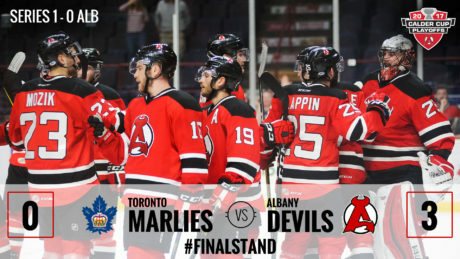 The Devils defeated the Marlies 3-0 to take Game 1 of the opening round of the Calder Cup Playoffs. 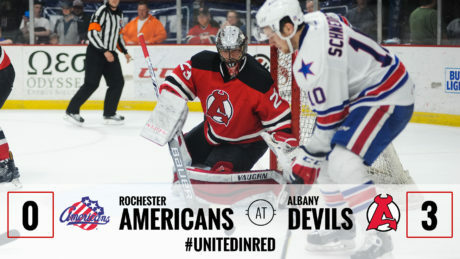 The Devils defeated the Amerks 3-0 in their last regular season game at Times Union Center. 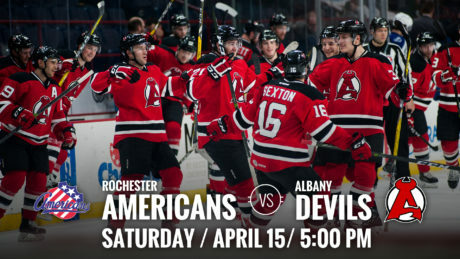 The Devils play their final regular season game Saturday against the Amerks at 5 pm.